The Fine Arts Museums of San Francisco (FAMSF) has announced Gauguin: A Spiritual Journey, debuting at the de Young museum on November 17. The first exhibition at FAMSF dedicated to the work of Paul Gauguin (1848–1903) will explore two themes central to his career: the relationships that shaped his life and work, and his quest to understand spirituality, both his own and that of other cultures he encountered. Through an exceptional partnership with the Ny Carlsberg Glyptotek in Copenhagen, more than sixty Gauguin works will be on view—ranging from oil paintings and works on paper to wood carvings and ceramics—alongside art of the Pacific Islands from the FAMSF collection. Combined, these works encompass distinctive phases of Gauguin’s career to show the development of his ideas, the scope of his oeuvre, and the inspiration he found in New Zealand, the Marquesas Islands, and Tahiti. 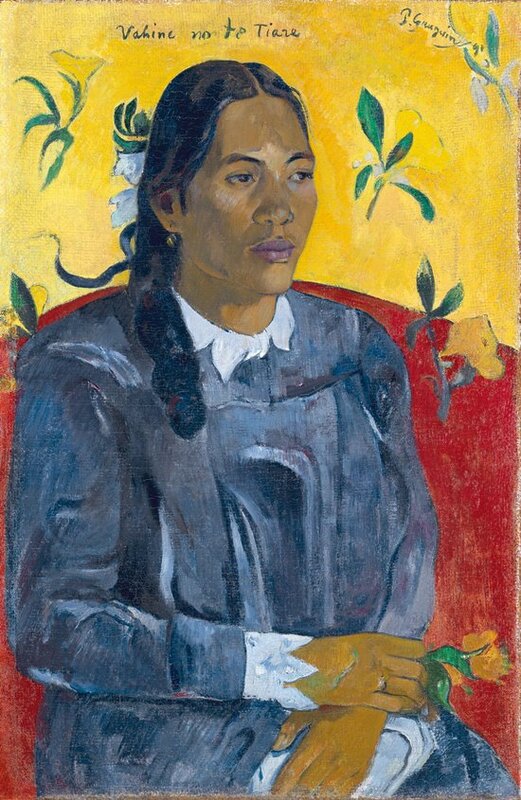 Tahitian Woman with a Flower (Vahine no te tiare), from 1891. Although Gauguin is best known as a painter and printmaker, the exhibition will also feature fifteen experimental ceramics and intricate wood carvings interspersed with period photography and excerpts from his own letters and writings. 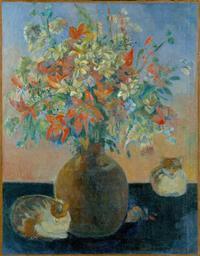 Gauguin was greatly influenced by Pacific art and culture, from his time spent in the region en route to Tahiti in 1895. 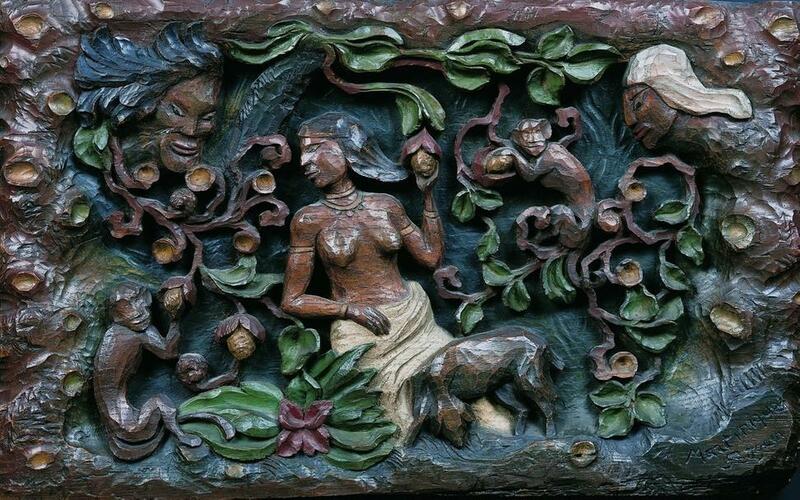 Corresponding to this period of Gauguin’s travel and work in the Pacific, carvings and images from New Zealand, the Marquesas Islands, and Tahiti will be on view from FAMSF’s own extensive holdings in Oceanic arts. This dazzling book showcases dozens of Paul Gauguin's most celebrated works and presents a new consideration of the artist's relationships. This vibrant examination of Paul Gauguin's life and work features more than fifty pieces from the Ny Carlsberg Glyptotek collection in Copenhagen, including paintings, wood carvings, and ceramics along with Oceanic art and Gauguin's works on paper from the Fine Arts Museums of San Francisco's permanent collections. Each piece is reproduced in exquisite detail, offering a superb opportunity to enjoy Gauguin's groundbreaking use of color, line, and form. Essays examine Gauguin's relationships and reveal the struggles, indulgences, awakenings, and betrayals of his personal and professional life. 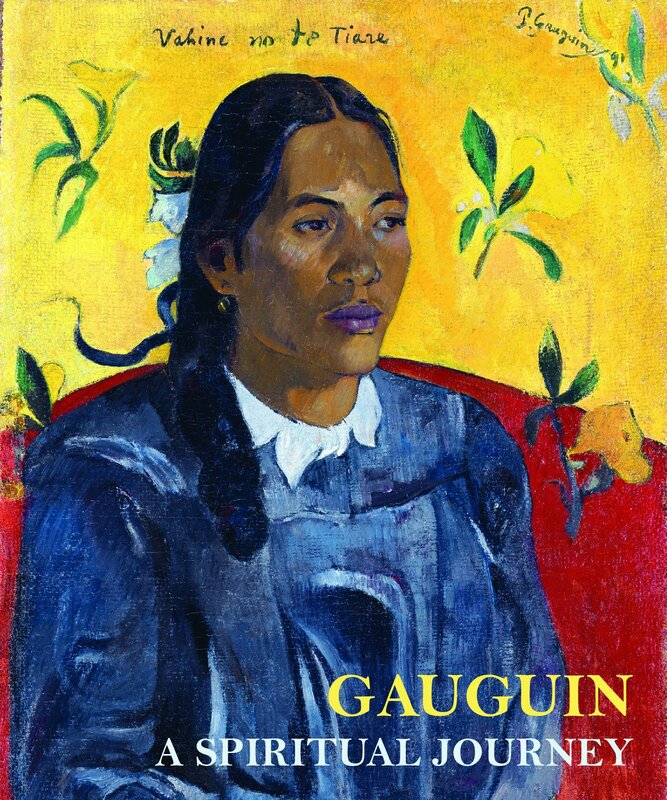 Other essays provide new insights into Gauguin's travels to the far reaches of the French colonial empire in the Pacific and explore his cultural identity, sexuality, and spirituality. Beautifully designed to complement Gauguin's extraordinary oeuvre, this book offers a refreshing take on an artist whose life and work continue to fascinate to the present day.